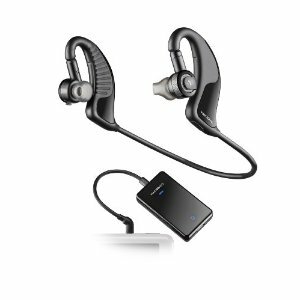 There are a few different styles of Bluetooth wireless earbuds available. Lets look at a few models and highlight their features and options. 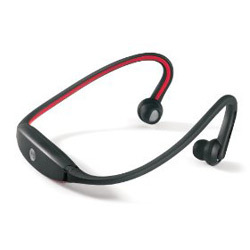 While there are more wireless bluetooth earphones available than are listed here, I have made an effort to find a sampling of models that are well rated in review articles and by consumers. This device is nice because of its rich set of features. You can use the headphones to listen to music and to take calls. When you are using these for calls, everything comes in twos. A microphone is included on each side earbud, which is supposed to improve the quality of what is picked up from your voice. You can hear your caller in both earbuds too. In outdoor situations where there is a lot of background noise hearing a voice in both ears can make a big difference. There is also a button on the headphones that allows you to easily switch the music off so that you can hear what is going on around you. The headphones do require batteries but the device is rechargeable. You simply plug them in using the included AC cord that comes in the package. These earbuds can be had for somewhere in the neighborhood of $75. The Etymotic earbuds combine sound isolating capabilities and wireless technology. Interestingly the product pictures used for advertising seem to suggest there are two unattached earbuds while in fact they are actually connected together via a cord. The reviews for this model are mixed and appear to reflect two different experiences. First are the people that understand that the sound isolation requires that the earbuds are carefully fit into the ear. First you need to play around with the variety of earpieces that come with in the package with the earbuds. Once you find the right arrangement, you also need to get them into your ear so they are properly seated into your ear canal. Once the earbuds are well fit into the ear the sound is quite good. Others do not want to be bothered with figuring out how to wear them correctly or find an in the ear canal earbud uncomfortable. People that are on this side of things do not like these wireless earphones and give the Ety 8 a thumbs down. The Ety 8 wireless earbuds sell for a bit more than $200. These earphones are actually tethered together with a cord. 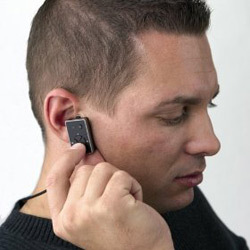 The earphones fit into the ear canal, in a typical noise blocking arrangement, but there also is the need for an outside the ear part of each earpiece to house a wireless receiver. The S9 is worth considering as a slightly different form of packing a set of wireless earbuds. While many people would consider these a set of headphones, they are not much different than the tethered earphones shown in the previous two models. The S9 is advertised as a hearty device that can withstand water, sweat and holds it place well. Reviews clearly show this is a bit of hubris. Another criticism of the S9 is its form factor makes for a bulky piece of equipment to carry around. Even with these limitations, these are not a bad option if you can handle carrying them around when you are not listening to them and are not planning on being real active while wearing them. A daily commute on the bus, for instance, would probably be a good situation to use these in. The Motorokr’s are relatively cheap and can be bought for around $50. If you think the S9’s are a viable option, you can also check out these models that have a similar form….